Damn it! I Don’t Know the Man! The disciples took to hiding. This week Christians celebrate Good Friday, the day Pontius Pilate crucified Jesus of Nazareth. We call the day good because we believe the man, Jesus, was God incarnate, the anointed of God, the Messiah, or Christ, who achieved redemption for humanity that day. Later that night as Jesus stood trial, Peter was trying to blend in, unnoticed, with the growing crowd. But recognizing him, several people said, “You were with Jesus!” As Peter grew more fearful with each accusation, he began to curse and swear that he didn’t know Jesus. And then Jesus looked him in the eye. He ran from the place. He escaped. He hid. He wept. And Friday at the cross, Peter was nowhere to be found. 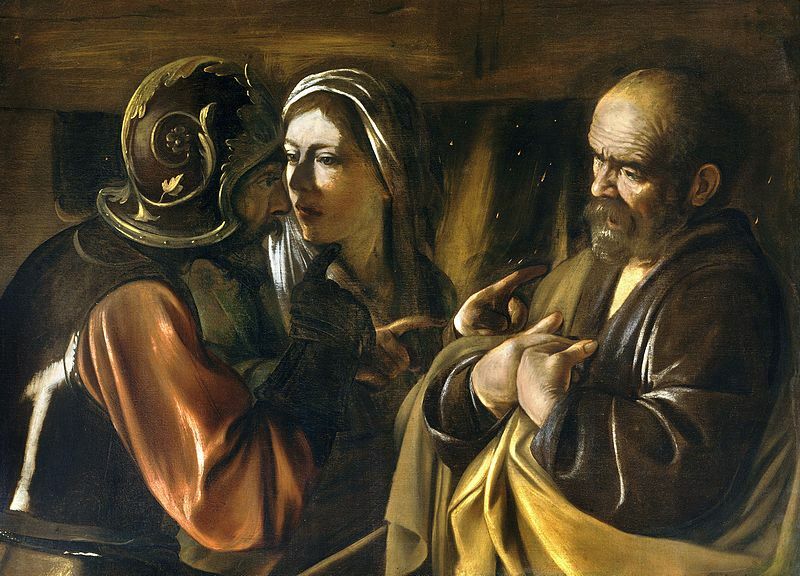 Three times Peter had denied Jesus. And three times Jesus commanded Peter, “Feed my sheep,” thus making him the first mortal shepherd of Christ’s tiny flock. Peter, who had publicly denied ever knowing Jesus, now stood before Him as Joshua had before Moses. The mantle had been laid upon trembling shoulders. And yet Jesus, who alone understood the dark pit of Peter’s sin, did not hate him, but embraced him. The cross from which Peter fled, was where Jesus bore in his own body, the penalty for his denial. The grace of forgiveness could be freely offered to Peter because Jesus had paid infinitely for it. “Oh, the deep, deep love of Jesus, vast, unmeasured, boundless, free,” the hymn begins. In Peter’s restoration we see a sample of the love of Jesus for sinners who are ignorant of their own sin. Like Peter, we are hardly aware of the depravity within. We half-heartedly confess our lack of love and faith, our lust and greed and unkind thoughts, not knowing that we confess only the very tip of the iceberg of our lawbreaking and idolatry. And yet, the crucified Christ receives this as true repentance, true confession, true faith, and true worship. For the power of redemption lies not in our sincerity, but in what He accomplished as our substitute on the cross. But, Jesus didn’t take him up on it. And He’ll do the same for you and me. Please join me Friday in worship at your local church, won’t you? ” We half-heartedly confess our lack of love and faith, our lust and greed and unkind thoughts, not knowing that we confess only the very tip of the iceberg of our lawbreaking and idolatry. Thanks for the comment Keith!